Hey guys! 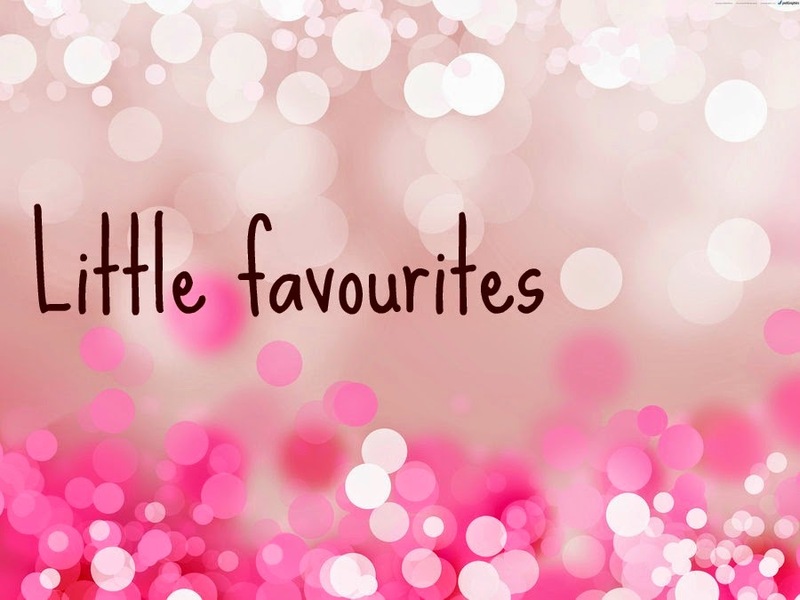 Today I want to start a new series called "little favourites" where basically I talk about my favourite products. At the moment I'm planning on keeping it relatively beauty based, but I may do books or music or whatnot as the series develops. I'll probably do it once a month along with another new series which I will be starting next month which is a little bit different but I'll tell you more about that then. Because I have more time on my hands I will be visiting old sereis I haven't done for a while like foodie Fridays. I will of course be keeping up with my usual feel good and thought provoking posts that my blog is really all about and of course usual series such as Tunesday Tuesday and reviews. Anyway just a quick catch up as to what I will be doing and what I'm working on for little thoughts! 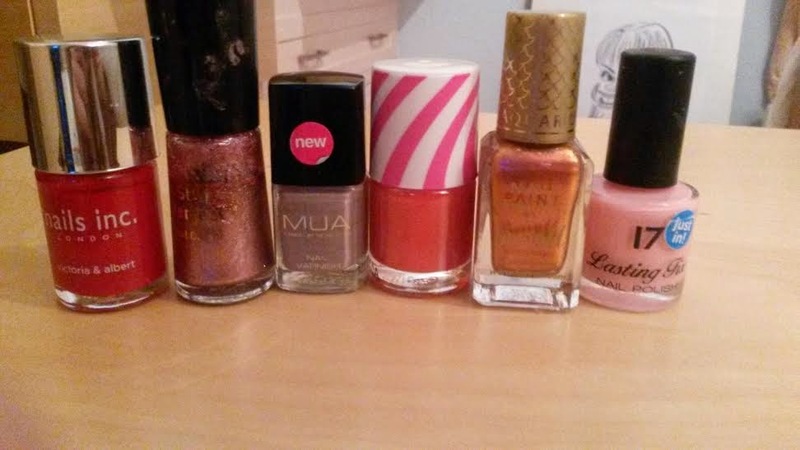 The first one is by Nails inc, and it is my favourite red nail polish ever. It's one of the most chip resistant polishes I have and it gives such a lovely perfect red colour that isn't too dark or too pink. I would definitly reconmend if you're looking for a red colour. The second is no7 stay perfect range in the colour "Milan." It's such a lovely and slightly unusual colour of a pinky purpuly gold shimmer and it's one of my all time favourite colours especially for the summer. Next we have an MUA one in the colour "Moody Mink" This again is a really nice and a little bit unusal colour as it isn't a dark purple or even a lilac but it makes my nails look long and I can't stop staring at them when i'm wearing it! Fourth is an orangy red colour. I think it's from Marks and Spencers I got it in a little pack with other ones once for Christmas, I'm not even sure they still do them but you can get similar orange creams or dark orange colours. This is one of my all time favourites, I even got compliments from people I wouldn't expect to about my nails while wearing this colour, it's just such a lovely summery colour. Next is a Barry M one in the aquarium collection, number 405 and it's called "Mediterranean." I actually only bought this not so long ago and I instantly loved it. It works so well with a white top and a little bit of gold jewellery due to the gold bits in the polish. Finally is a 17 nail polish in the colour "Fairy cake." I've had this polish a long while and I wasn't impressed by it due to the fact that if you don't get the coverage right it goes a little streaky, but if you apply evenly the colour is absolutely gorgeous. I will see you Monday for an Early Tunesday! Give this a like if you're enjoying this series and I'll see you soon.